An award-winning Syrian human rights activist, Mazen Darwish, has been released from prison after over three years’ detention in Syria, AFP reported Monday. “He has been freed ahead of a final verdict in his case on August 21,” his wife, Yara Bader, told the agency. Darwish was arrested by members of the Air Force Intelligence on 16 February, 2012, at the Damascus office of the Syrian Center for Media and Freedom of Expression, an NGO he founded in 2004. Seven of his colleagues were arrested with him. A statement calling for his release the following week was signed by civil rights and press freedom organizations including Human Rights Watch, Amnesty International, the Committee to Protect Journalists, Index on Censorship, and the Samir Kassir Foundation. On 28 June, 2012, Darwish and his colleagues were reportedly transferred to the Anti-Terrorism Court, to be charged with terrorism-related offences. Fellow activists have always maintained the charges were entirely baseless, fabricated as part of a wider crackdown on independent, critical media in the country. 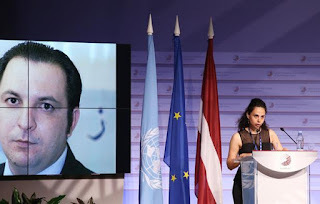 “The trial against Mazen Darwish and his colleagues is nothing more than a sham, and a deep miscarriage of justice […] These human rights advocates should be immediately set free,” said a statement posted on the website of the PEN International organization. 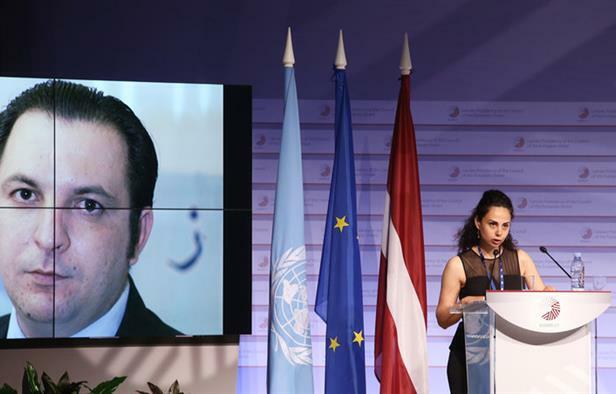 During his time in incarceration, Darwish was subjected to torture and transferred to the notorious Adra prison in Damascus, according to his wife, citing UN sources. The Syrian Center for Media and Freedom of Expression was the first Syrian NGO to be awarded consultative status by the UN Economic and Social Council (ECOSOC).